Canadians pay a lot of tax! In fact, tax is the single greatest lifetime expense: an average two-income earning family could pay in excess of $1 million over their lifetime. While meeting with clients to file their 2018 taxes, it’s a great strategy to discuss the tax exempt income sources. Planning to earn more of them will help with cash flow and paying less tax next season. The most common types of exempt income include the following. Tax-free benefits of employment, including transportation to a special worksite, certain transportation passes, uniforms supplied to the employee, education taken in order to benefit the employer, etc. It’s also essential to ensure that income isn’t over-reported, and that you find the above tax-exempt opportunities by conducting thorough interviews with your clients. Not just once – but annually – to ensure you capture new opportunities as they arise. This list of tax exempt income sources was excerpted from the 2018 edition of Essential Tax Facts by Evelyn Jacks. The 2019 version will be available this May! 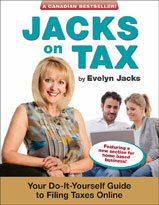 It’s a great resource to share with your clients, to make them more tax-savvy. Pre-order your copies by calling 1.866.953.4769. Although many of you are in the midst of the hustle and bustle of tax season, this is actually a great time to develop brand loyalty with your clients. After all, you may be seeing many of them for the first time all year. This creates an opportunity for you to set yourself apart from your competitors and get that valuable referral business. But what does brand loyalty mean, and how do you establish it? Defining brand loyalty. Consumers are far more likely to choose a brand that they recognize over something they are unfamiliar with, which is why many of the products and services we purchase today come from national or internationally branded chains. But this applies with smaller businesses as well. Specialty or boutique services can also establish brand loyalty if their brand clearly defines who they are in their market space, which increases their appeal with the public. When customers recognize and use your brand, it begins to build your brand equity in several ways. Firstly, it starts the process of creating customer loyalty and return business. Secondly, it starts to build your customer referral base. These are the people who use your service and share their positive experiences with their family and friends. With the lightning speed of social media communication, your brand equity begins to develop the moment your first customer posts something complimentary about you online. The more recognition you receive and the more you build your brand, the more your company will be viewed as a leader in the marketplace by not only your customers, but also by your suppliers, and potential current and future stakeholders. This dictates that when building your brand, you must consider both the short-term value and the sustainability of the brand over time. How do you do this? The following steps are discussed in Knowledge Bureau’s new certificate course Business Leadership, Culture and Continuity which is part of the MFA™ – Executive Business Growth Specialist program. Identify: start by clearly identifying what you stand for. Product-based companies can usually easily identify this by the quality of what the products they offer. However, for service-based companies it can become more complex. Explain: once you have a sense of your brand pillars, you can begin to describe and explain your brand’s value proposition. This is basically your “elevator pitch”. In one short statement, it tells your prospective customers both what you do and what values you bring to the people you serve. Share: the next step in building out your brand is to begin the sharing process. Unfortunately, this is often where most business owners “jump the gun” and begin to share their brand story prematurely. The story of why/how they started their business gets woven and tangled into a confusing array of communication through a variety of tools. This confuses the market about who you really are. Validate: this step in your brand development is focused on establishing credibility to what you claim to offer. You accomplish this by incorporating customer referrals, testimonials, and the like into your communication channels. Grow: once you have validated your brand and your positioning in the marketplace, it is time to turn it up and grow your distribution. Why is brand loyalty an especially timely issue? Due to the sweeping tax changes in the US, Canadian companies are deemed to be at a marked disadvantage, comparatively speaking. Reforms such as reductions of corporate tax rates, caps on small business tax, and deductions for capital investments have the Canadian business community increasingly concerned that our more stringent regulatory environment and higher taxes will make us less competitive. The Canadian Chamber of Commerce has developed its most comprehensive policy position requesting that the federal government strike a royal commission on tax reform to help with Canadian economic competitiveness issues. Including that the Canadian tax system hampers investment and the ability of business owners to attract talent. Any tax reform will take time and consultation. In the meantime, Canadian business owners have to find ways to stay as competitive as possible despite a series financial obstacles that take money out of consumers’ pockets: new taxes, economic uncertainty, debt management . Creating brand loyalty is one tool in your arsenal to ensure your business will grow in the future and be able to weather any storm! Old Age Security (OAS) and Guaranteed Income Supplement (GIS) benefits payable were released on April 1 for the second quarter – but unfortunately, seniors won’t be getting a raise. However, there is some good news about Canada’s public pension system, especially for low-income seniors who have employment or self-employment earnings, and for tens of thousands of seniors who haven’t been getting their CPP benefits. *The benefit is reduced by one dollar for each multiple of income level shown (e.g. $1 for each $24 of income for a single senior). Note that the first $3,500 of employment income does not count. How are OAS and GIS rates determined? Rates are indexed quarterly based on the Consumer Price Index (CPI) for the most recent three months ending in the last increase compared to the CPI for the previous three months. The CPI for November 2018 to January 2019 was lower than the CPI for August to October 2018 so the indexation factor, if implemented, would actually reduce the OAS payment amounts. However, when the indexation factor is negative, the payment rates do not change. The basics on GIS eligibility. The allowance is available to low-income seniors aged 60 to 64 who are married to a pensioner or are the surviving spouse of a senior. Changes to GIS clawbacks. There is some good news for GIS recipients starting in July 2020. Currently, GIS recipients can earn up to $3500 of employment income without affecting their GIS pension. However, if they earn more, the GIS is reduced by 50% of the excess earnings. That’s a steep clawback. Beginning with the July 2020 to June 2021 benefit year, which are based on income earned in 2019, GIS recipients can earn up to $5,000 from employment or self-employment before their GIS is reduced. In addition, 50% of the next $10,000 of employment or self-employment income will also be exempt. These changes would allow working seniors to earn up to $10,000 more in 2019 while still receiving benefits under the Guaranteed Income Supplement. Automatic CPP enrolment. In the March 19, 2019 federal budget, it was proposed that eligible seniors age 70 and older would be automatically enrolled in the CPP program. It’s an important change when so many seniors continue to miss accessing public pension programs that can help significantly with financial security throughout retirement. It’s an issue made evident by statistics relating to the GIS, which is missed by more than one in ten seniors, per a Statistics Canada report we covered in January. Once implemented in 2020, the automatic enrollment process promises to bring CPP to 40,000 eligible seniors currently missing it, over a twenty-year period.